Every commercial and industrial building has doors. Whether they are storefront doors, man doors, or personnel doors they can get damaged, out of alignment and more. This requires door service and at times door replacement. McKinley has the expertise to handle all door repair and installation on nearly all types, brands and styles of storefront and man doors. Storefront doors are some of the most utilized doors around. This means they often need service to keep them operating, locking and looking like new. 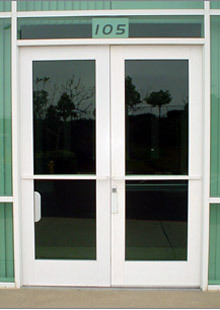 Interior and exterior man doors, often called personnel doors or pedestrian doors, are another specialty of ours. We provide repair service, replacement service as well as new doors for new buildings and new tenant build-outs. Call McKinley Equipment today for all your storefront door, personnel door, and man door needs.